Children can be put on our waiting list at any point from birth onwards, although it must be noted that places are not allocated according to length of time on the waiting list. Priority is given to children within the catchment area according to age. The catchment area for the Pre-School is the same as for St Michael’s CE Primary School. To find out if you live within catchment visit www.oxfordshire.gov.uk/localview and enter your postcode. Usually children start at Pre-School the term after they turn 3 and stay with us until the September they are eligible to start school. In certain circumstances and if places are available, children may start in the term that they turn 3. Please note that not all 2 year olds are eligible for free early education and you may therefore be required to pay fees for each session. Information on free early education for 2 year olds in Oxfordshire can be found here. Applicable from September 2017 onwards, children begin with a minimum of four half-day sessions and work up to five or six sessions, depending on availability and parental choice, with a maximum of three full days. Older children may also stay for the lunch hour. Children who turn four between 1st September and 31st March are usually eligible to stay for a full day for the whole of that academic year. Children who turn four between 1st April and 31st August are usually eligible to stay for a full day from the preceding January. Please note that we may work outside of these dates depending on availability. We try to satisfy everyone’s preferences for session days and times but cannot guarantee to do so. Admissions are dealt with three times per year with new children starting at Pre-School in September, January and April. Parents with children on the waiting list will usually be contacted two or three months before the child’s potential start date to check they are still interested in a place. Please note that attending New Marston Pre-School does not give automatic entry into St Michael’s CE Primary School. If you are interested in your child attending that school you will need to contact them direct. 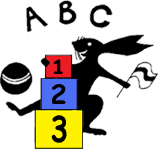 Once your child has joined Pre-School we require at least one month’s notice of your child leaving, or alternatively, payment equivalent to one month’s fees if the required notice is not given. To discuss a place for your child, please contact the Pre-School coordinator via the online form below. If you would like to arrange a visit before starting with us, please telephone us on 01865 798320 so that we can make an appointment for you. Sibling at St Michael's Primary School? New Marston Pre-School will reopen for the summer term on Tuesday 23rd April 2019.